His modern and skilful approach to the art of close up magic has made him one of the most sought after close up magicians in the UK. He is often the entertainer of choice by many of the world’s largest blue chip corporations, celebrities and politicians who are seeking to wow their clients, colleagues or friends with an experience they will never forget. David is based in West London, but regularly performs all over the South of England, including Hampshire, Surrey, Essex, Kent and the West Midlands. These days corporate entertainment takes up most of my time. The main challenge as a corporate magician is the constant development and delivery of new and original ideas and effects, to keep my magic fresh and compelling. Great new ideas and tricks allow me to continually baffle, bewilder and entertain many, many people at a huge variety of venues and events all over the world. In the summer of 2006 I was invited to perform in the presence of HM the Queen at Buckingham Palace as part of her 80th birthday celebrations and I perform regularly at venues such as The House of Lords, Inner Temple, The Royal Horseguards and many of London’s top hotels and function venues. Recent client commissions have included PriceWaterhouseCooper, Lastminute.com, The London 2012 Olympic Committee, BAE Systems, O2, Porsche and Audi to name but a few. I'm very proud that I'm consistently the magician of choice for some of the world's largest blue chip companies and corporations. Please see Corporate Magicians and Table Magicians for more information. I think the key to my success is the ability to not only make jaws drop, but to make people laugh – I've been told it's my subtle sense of humour and charming style! Whatever the event you're planning – whether a small drawing room gathering or a dinner party, to something much bigger such as an awards ceremony or charity ball, I promise to leave a lasting impression on your guests, who'll marvel at my sleight of hand magic and sensational feats of the mind. Clients who have previously enjoyed my performances as a close up magician have included Royalty, nobility, celebrities, dignitaries, high ranking military officers and sports personalities, as well as many families and private individuals. Please see Close Up Magicians for more information. "I don't really know how to begin praising this exceptionally talented man. He is quite simply a genius! We had guests of all ages from 2 to 80 at our wedding and David kept all of them spellbound. At one point all the children were playing and the adults were fighting to get a space to watch David! If you are considering hiring a magician for an event, this guy is first class. David, everyone thought you were fantastic and you helped make our day extra special. I can't thank you enough." Of all the roles I undertake as a magician, I think my very favourite is performing as a magician for weddings. The chance to bring two families together, and leave them laughing and thoroughly entertained on this very special of days is an exhilarating experience. I always try to set the mood for the day early on, because it lifts everyone's spirits, ensuring a truly wonderful time is had by all. I'm asked to perform magic at over 40 weddings a year, at venues all over the world, so I have a tremendous amount of experience as a wedding magician. Please see Wedding Magicians for more information. Having appeared on television quite a number of times and found the experience both terrifying and exhilarating in equal measure, I decided to take a television presenter’s course. I now regularly discuss magic on national and international television and on radio. I've even had a starring role as a magician in a national TV advertising campaign in Turkey for a multi-national company headquartered in Istanbul. 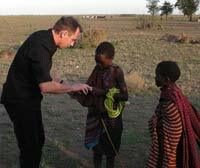 My sleight of hand sequences can be seen in numerous TV commercials, movies and Television programmes. Please see my Showreel and Videos Page for some of the highlights of my TV work. "Absolutely Amazing! Dave, thank you so much for bringing the magic to my husbands 40th Birthday celebrations. You were absolutely brilliant, charming, and entertaining - it was an honour to have you perform in our home. To those of you that are reading this to ascertain if this guy is as good as he says he is let me reassure you he is better – you will not be disappointed. Our family and friends are still talking about Dave; most still trying to work out how he does it, which I guess means we will be talking about my husbands 40th birthday for a very long time :o). Dave is an extremely talented professional; I have no hesitations in highly recommending him to you. Again, many thanks Dave, I sincerely hope our paths cross again. I just wanted to pass on our thanks for your amazing part of our wedding day at Hunton Park on 28th December. You were and still are the talk of the wedding. All i hear is how amazing you were. People were absolutely blown away by you. As a magician, tricks are one thing but you were funny and had the personality to go with it!!! You really did make the day one to remember, thank you!!!!!!! I have passed on your number to friends. Hopefully I will see you again soon at a friends party or maybe another one of mine. I hope I won't have to wait until I am 50 though. Please visit my Client Comments page for more comments or the Client Comment Form to leave one. "I hired David for a new year's eve event that I was organizing for the Arusha Hotel in Arusha, Tanzania. I have seen magicians before, all over the world, but David was different and had a certain something that added a real touch of class to the event. "I can't help feeling rather smug that although he demonstrates other tricks with aplomb, he hasn't taken my watch unawares. And then it happens. Just when I wasn't expecting it. He's standing in the middle of the room talking to our photographer, who's trying to show him where he wants him to stand. And it provides the perfect cover. In a couple of seconds, he's divested the photographer of his watch." - Article in the Daily Mail (read the full article here). or fill out my booking form and I'll get back to you right away. 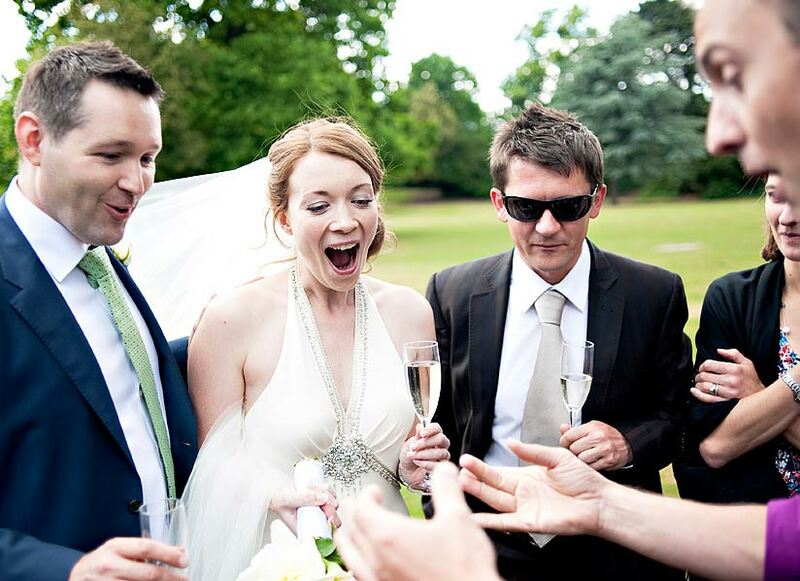 © All site content copyright London Magicians and wedding magician David Bonsall 2011.